Lib Dems To Suggest Introducing "a Land Tax Levy"
Liberal Democrat MPs will next week drive open a damaging rift with their Tory Coalition partners by calling for extra tax levies on the rich. They are demanding new research on ‘increasing taxation on wealth’ – including a ‘land value’ levy which could cause house prices to plummet. They will call for Lib Dem Ministers to commission their own independent research on raising taxes on the wealthy. Last night, one Tory Minister called on Deputy Prime Minister Nick Clegg to disown the taxation calls, which will be made at next week’s Lib Dem party conference in Liverpool. ‘This is classic Lib Dem “soak the rich” stuff. Don’t they realise the people who generate wealth in this country are the rich? It’s not the people on benefits,’ the Minister said. The contentious motion, submitted by Lib Dem activists, says the party should ‘insist that Lib Dem Ministers are given the freedom and resources to commission research to fully assess the viability and practicalities of increasing taxation on wealth – including land values’. Senior Lib Dem MPs Bob Russell and Tim Farron last night defended the plans. Colchester MP Mr Russell said the idea of wealthier people contributing more was at the heart of what the Lib Dem party was all about. ‘The rich should pay more, that’s my view,’ said Mr Russell. Westmorland MP Mr Farron backed the idea of a land-value levy, long championed by some Lib Dems, as a way of raising money from property speculation, even though he admitted it would have the effect of reducing house prices. Senior Tory MP John Redwood last night condemned the idea of a land-value tax as a ‘dagger at the heart of property values’. Last night, a Lib Dem party spokesman declined to distance the party leadership from the tax plans. However, party managers are nervous that the conference – the first full Lib Dem gathering since the party entered the Coalition – will expose deep divisions with their new Conservative partners. Many Lib Dem MPs are fuming at the lack of consultation over Tory Chancellor George Osborne’s decision last week to seek an extra £4 billion of cuts from the welfare budget as well as the announcement from Vince Cable, the Lib Dem Business Secretary, that he is ­considering wholesale privatisation of the Royal Mail. Five years ago, the Lib Dem conference rejected less radical plans, with one delegate accusing party bosses of going ‘where even Margaret Thatcher dared not go’. Rank-and-file Lib Dem members at the conference are set to condemn Tory-inspired plans for new free schools as ‘socially divisive’ and, in a potential rift with the Tory Right, will also debate proposals to allow gay couples to convert civil partnerships into full marriage. Last night, Mr Russell said the conference atmosphere would be a mixture of ‘euphoria on the one hand that we are in power but with deep, deep concerns over it as well’. That's the sound of lots of HPCers filling their collective pants. Could never see this getting past the Tories - the Liberals insist on flying these kites from time to time though. Having said that, the principle of taxing wealth is a good one - it certainly can't be a taboo debate due to fragility of coalition. This guy makes Mandelson look almost saintly - there is nothing he would not do to defend the rich and priviledged.
. Dont they realise the people who generate wealth in this country are the rich? Its not the people on benefits, the Minister said. Is it worth giving him the benefit of the doubt? 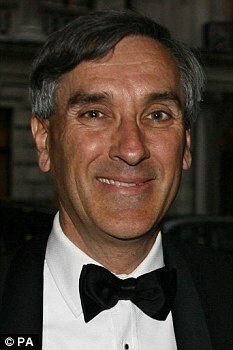 Maybe Mr Redwood is occasionally just a bit of a gormless d1psh1t? If not, he wants to check himself, lest he become the new 'hate' figure for generations of 'average earners' priced out by state sponsored theft. Myopic, as in my lacking tolerance or understanding? Oh, I see. So only your goodself is capable of understanding that removing the tax on FTB'ers would not be a solution? Is that it? I could understand your obvious desire to 'start an argument' if I had posted that I did believe that. How can you suggest that FTB'ers who are 'anti labour' lack tolerance or understanding? Are you suggesting that Labour are not to blame?!! Something of a rare stance. What a moronic (and coward, "anonimous") Tory Minister: "Don’t they realise the people who generate wealth in this country are the rich? It’s not the people on ­benefits"
Nor the rentier class you stupid b@stard! Working people - both rich and poor - generate wealth. And iddle people - both rich and poor - do not. This includes people on benefits and also the iddle rich! They are both social parasites. And the idle rich is the worst, as their "parasitising per capita" is much, much higher! Anyway, I still doubt a land tax would be politically viable though. But it is very good that, at least, it is being talked about. And the LibDem strategy of asking for a research on it is excellent, as the findings will obviously be positive, and impossible to counter. I would like to see the Tory party take the middle ground and force out his sort. (I have no doubt Cameron is already working on it - it was Redwood et al that blocked higher CGT). Careful what you say. He has a patsy here who will be running back with names. Tax on blog posts next! (I have no doubt Cameron is already working on it - it was Redwood et al that blocked higher CGT). Higher CGT is generally shown to be counterproductive if your goal is to get more revenue, which surely in these times of deficit it should be? I wonder if you aren't taking a view of "traditional conservatism" from a tradition of anti-tory literature that portrays a bunch of arrogant toffs? Not saying there's none of that, but perhaps the likes of Redwood were always a caricature on the fringes? Note the unnamed tory Minister went straight to "the people on benefits" in his/her derogatory statement about people who (don't) generate wealth as if they were the only ones in the equation at the low end of the economy. He/she knew full well that low paid workers generate wealth (most of which doesn't accrue to them of course) but they couldn't be included in the derogatory statement because it wouldn't have made the sound bite. And if the UK rich were so good at creating wealth the UK wouldn't be in the appalling state it's in today. Even one of the most socialist governments in Europe - the Sweds, have realised that a wealth tax doeen't work and have removed theirs. well the lvt isnt actually a wealth tax, at least not wealth creation, thats a fundamental point so the rich or wealth creators have no compulsion to leave, indeed the lvt offsets other taxes, corporation and income and vat(although this is being increased next year by about 10% to a whopping 8%) and cap gains making it easier to create wealth, the prime example in europe being switzerland. I was brought up in traditional conservatism - we used to eat it, breathe it, live it. I used to have to stand to attention for hours and listen to hellfire 'sermons' on 'why the country is in the state it is'. Not only were the unemployed shiftless and a plague on society but also anyone employed by the state. I am no fan of Labour though and never was. Maybe accusing Redwood of being Mandelson's counterpart is a little disingenuous, it is true that Redwood is a lot more straight talking, its just that the more he talks the more he demonstrates he really hasn't been around much. You mean these people care about what us ordinary folk think? Blimey! If it gave us a platform it would be cheap at any price. Patsy, if you're listening my real name is Edith Pankelshank and I live at 93 The Richardbriars, Grovel, Truro. Tell John he is welcome to a free and frank exchange of ideas - anytime. The only 'wealth' the rich have generated is for themselves. Where are all the jobs they've created? It's quite funny when even the hardline free market liberal cheerleaders on HPC are demanding more taxes. I've noticed they want to force older people out of their homes too. How libertarian is that? Exactly. The Tories have really moved on. Can't imagine any of these arrogant toffs getting anywhere in the tory party nowadays. This is really quite an interesting move by the Liberal Democrats. It sticks a stilleto into the belly of the Conservative Party in a way that Labour can never quite manage. Historically the Tories are the party of landed wealth and rentier finance which of course is not the same as capitalist wealth creation as Adam Smith knew full well over 200 years ago. In the nineteenth century when there were little or no benefits apart from the work house the Conservative party under Disraeli suddenly became interested in the conditions of the poor as part of their log running battle with the Liberals for power. One nation Conservative policies were an attempt to create an implicit pact between the working class and the landed elite that was designed to protect the latter from this sort of policy. If one was cruel one might suspect that the modern Conservative party actually needs an army of benefit claimants to divert debate away from such topics. That is why those who think the Tory Party are going to end 'benefit culture' are simply deluding themselves. Many of its top members are part of the biggest welfare racket of all whereby they strip the surplus earnings of the rest of the population by their near monopoly of the ownership of land. By definition, those hit hardest by LVT (if properly implemented) do not create jobs or wealth. Those who do get to keep more of what they produce. If their wealth is in land, then it can't leave the country with them. If their wealth isn't in land, then under LVT they actually get taxed less, so they won't be leaving. Your post also suggests that there is a finite amount of people capable of creating jobs. I doubt it. If the rich leave, there are plenty to fill their shoes. The frustrating thing about this is that every time it gets brought up by a party, no-one seems capable of explaining it properly and it gets quickly drowned under accusations of 'punishing wealth creators' when in fact the opposite is true. Of course, it would be rather awkward for the Tory half of the coalition if the Lib Dems were to point out that it is only a tax on idle scrounging rentiers.